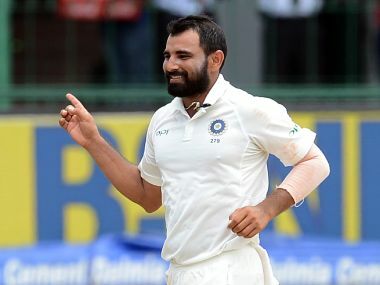 The incident happened when batsman Birender Vivek Singh hit straight and Dinda attempted the catch on his follow through but it slipped from his hand and hit his forehead. 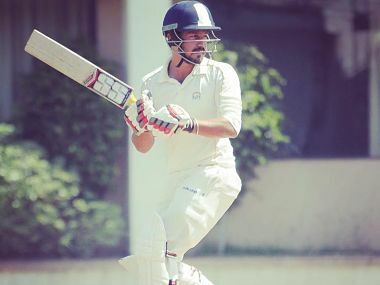 Punjab in strong position, Baroda on top, Tamil Nadu seize advantage against Delhi and more in our Ranji Trophy round up. Wriddhiman Saha and Mohammed Shami were named in Bengal Ranji squad for their semifinal against Delhi in Pune from 17 December. 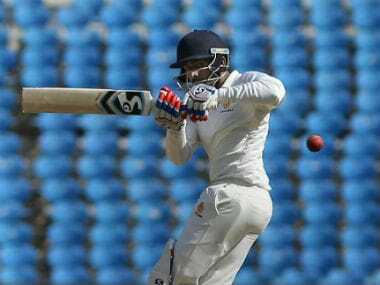 The 24-year-old Shreyas Gopal faced 274 balls and struck 11 fours to become the lone centurion in the Karnataka first innings that saw four other batsmen cross the 50-run mark, including No 11 Sreenath Arvind (51), without reaching three figures. With the draws of the quarter-finals of Ranji Trophy announced, here we look at the how the teams are stacked up one against the other. Mumbai chased a paltry target of 63 in just 6.2 overs with young find Prithvi Shaw (50 not out) and first innings centurion Jay Bista (13 not out) taking them home. 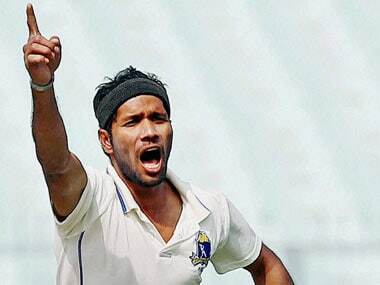 Ashok Dinda brilliantly led Bengal's bowling attack to finish with figures of 3 for 41 from his 15 overs after the young duo of B Amit and Kanishk Seth took the first two wickets.